Finally, my first BCIP Order has been executed and this is my first official equity investment in the Singapore Stock Exchange. Needless to say, I feel excited and somewhat assured knowing that I will be holding this throughout at least for the next two years or so. 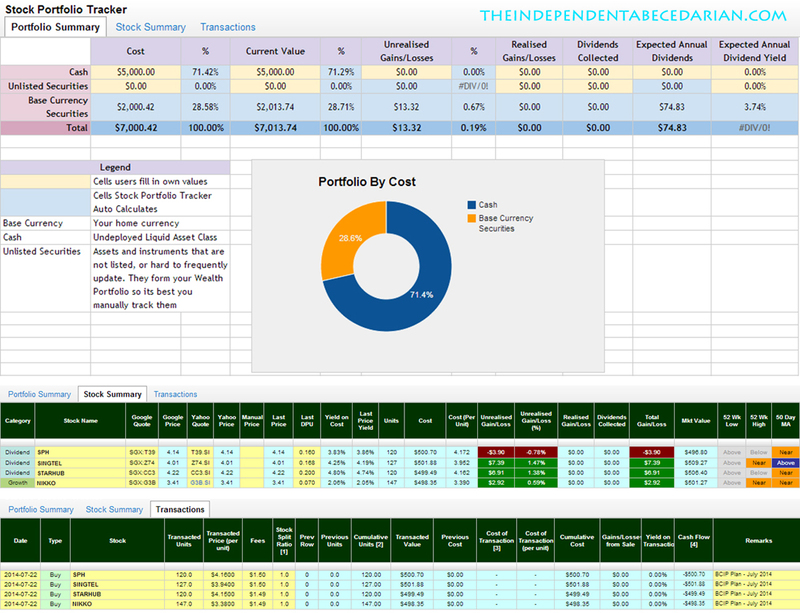 And to share my joy, below is the portfolio summary, stock summary and transaction summary respectively as of today. Updated 01/08/14: Replaced screenshot image with data as of today due to some miscalculation on previous screenshot. What do you think of my first trade? Congratulations on your first trade execution! This is my first comment on your blog as I wanted to share how I still vividly remembered how I felt back then when I executed my first trade. It was a mixed feeling- alittle excited, alittle worried, alittle proud of myself. Great comment and thanks William for your sharing on your experience with your first trade! Yes you are right. They were the exact mixed feelings that I’m experiencing right now! Thanks for the tips and readership. I appreciate it!